“Traditional knowledge is an important part of Sri Lankan culture and identity. Today, it has also been identified as a source of valuable information, which can be used for innovation and economic gain.” says Naazima Kamardeen, lecturer at the Faculty of Law, University of Colombo. The idea of traditional knowledge can be drawn from different facets that relate to the ‘system of self-management governing resource use which is embedded in the social and cultural practices of the community. This is generally transmitted through oral tradition and first hand observation. Traditional knowledge is focused on in recent times due to an increasing number of bio-piracy acts and a major threat has been identified in the area that includes mainly the uses, preparation, processing and formulation of useful plant species, for example, for medicinal purposes. An act of bio-piracy occurs when traditional knowledge is being used for commercial purposes without permission of the communities that contributed to the development of traditional methods and technologies of resource use and without compensating or acknowledging their rights in traditional knowledge. Sri Lanka is home to many plant varieties that have high medicinal value. The values of these plants are known through their usage by our ancestors as successful home remedies for curing sicknesses. Our precious ayurvedic medicine system, on the other hand, carries a wider knowledge base of the uses of these medicinal plants and herbs. The knowledge has passed from generation to generation that even today many of us first try the traditional home remedies before consulting a doctor, sometimes for the belief that these medicines are harmless. With a modern tendency of recognizing the values of herbal medicines and treatments as human-friendly with less or no side effects traditional knowledge has gathered huge attention by the scientists and companies with monetary values. Sadly, the efforts have been successful and most of them with a patent in hand at the end of the day. According to the senior environmental lawyer, Jagath Gunawardene, there are more than 500 patent applications based on our traditional knowledge based biological resources and about 130 of that regarding the medicinal plant kothalahimbutu. Komarika, gotu-kola, lunuwila, bilinchi, kurundu are few other plants that are patented else where. Even though, ‘novelty’ is strict eligibility criteria for patenting an invention, none of these patent applications provides for any isolation of an active ingredient of the plant genetic resources or anything of the sort to claim the invention as something that is not contemplated by prior art. Instead, they refer to biochemical extractions and other biological properties of the plant, the result of which is prior to them is known to us. If we take as an example, Japan has been granted a patent for making an extract in water or alcohol to use in preparations for making toothpaste, ointments and such for the purpose of preventing cries in teeth using 12 Sri Lankan medicinal plants. How far one can call the making of such extract a scientific invention is questionable. However, as the patent itself highlights it is evident that they have followed our traditional knowledge of the uses of the plants for the same purpose. When the developed countries are tend to grant patents for such petty discoveries it raises issues regarding our valuable traditional knowledge circulating around so care free. The Convention on Biological Diversity (CBD) addresses the issue of protecting traditional knowledge and recognizes the system of access and benefit-sharing of genetic resources (ABS). The Article emphasizes on preserving traditional knowledge, innovation and practices as required for the conservation and sustainable use of biological diversity. It encourages the equitable sharing of benefits that result from the utilization of such knowledge, innovations and practices. However, in front of Article 15 that separately deals with the regulation of “access to genetic resources”, Article 8(j) seems to be a vague picture of benefit-sharing or in other words, the convention is clear as to how we should let them access to our genetic resources but not how our rights in benefit-sharing should be realized. By Article 15 the protection over ‘biological resources’ is narrowed down to just ‘genetic resources.’ The term genetic in the scientific world is restrained to DNA and RNA molecules that leave out many other biological aspects of a plant. As Jagath Gunawardene points out none of the patent applications with claims against our traditional knowledge has actually dealt with genetic resources of the plant, but mostly with biochemical extractions. “A plant is not all about its genetic resources and if patents have already been granted for inventions based on other biological materials of a plant, what protection does Article 15 of the convention regulating access on genetic resources confer on a country with a rich biological value?” he questioned. Sri Lanka is not a signatory to the Nagoya Protocol on access to genetic resources and benefit-sharing which is supplementary to the CBD. “Sri Lanka does not have a strong mechanism to protect traditional knowledge. The only mention made in the Intellectual Property (IP) Act is under the section on copyright, and that too only for folkore, which is just a small part of traditional knowledge.” says Naazima Kamardeen pointing out the need to identify the various aspects of traditional knowledge and either amend the Act or institute new legislation to protect them. “Otherwise, in the absence of laws, bio-piracy will take place.” she emphasized. The Fauna and Flora Protection Act, the Forests Ordinance and the Fisheries and Aquatic Resources Act are the major warriors at war against unethical usurpation of biological resources of the country. These laws lay down offensive measures against damaging, causing injury, selling and exporting of the respective biological resources including the aquatic resources, hence the only means of protection, despite the fact that the issue is tackled indirectly. Recognition of indigenous people’s rights over there natural resources and identifying traditional knowledge in the IP regime as in Philippines are what most discussions on the topic seek to address in the world today. We shall look forward if the national policy on traditional knowledge on the draft will initiate a direct step forward for the protection of traditional knowledge and to ensure our communities’ right to share in the benefits that result from the utilization of their knowledge by others. “As on recent news the government seeking assistance of the Japanese cosmetic industry to reacquire patent rights of native plants and herbs is surely an appreciable involvement of the government, but the promises which we would rather cautiously watch out, as long as Japan remains the culprit of a larger number of acts of – against Sri Lanka, where India comes second” Jagath Gunawardene commented. Time is right for us to think and act towards our own protection mechanism. 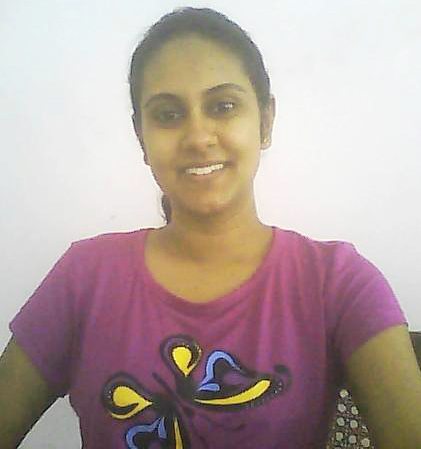 Kaushalya Premachandra is a final year law student at the faculty of law, University of Colombo. She loves music, poetry and enjoys being alone in a quiet and peaceful environment. Having been sensitive to environmental issues since childhood she currently volunteers at Sri Lankan Youth Climate Action Network, and works as a research assistant at the Center for Law and Analysis.